Work to this occupied ‘B’ listed 4 storey tenement in the centre of Edinburgh while in occupation required us to carry out repairs and rebuilding of chimney breasts, replacement and rebidding of copes and lintels, lifting of existing roof slates repair to timber and replacement of slate, new lead flashing work and gutters. On this project we used Roland premix for the lime based stone repairs. Work required repair of chimney breast on this three storey building in Stirling along with new lead flashings, brick and lintel repairs to facade. 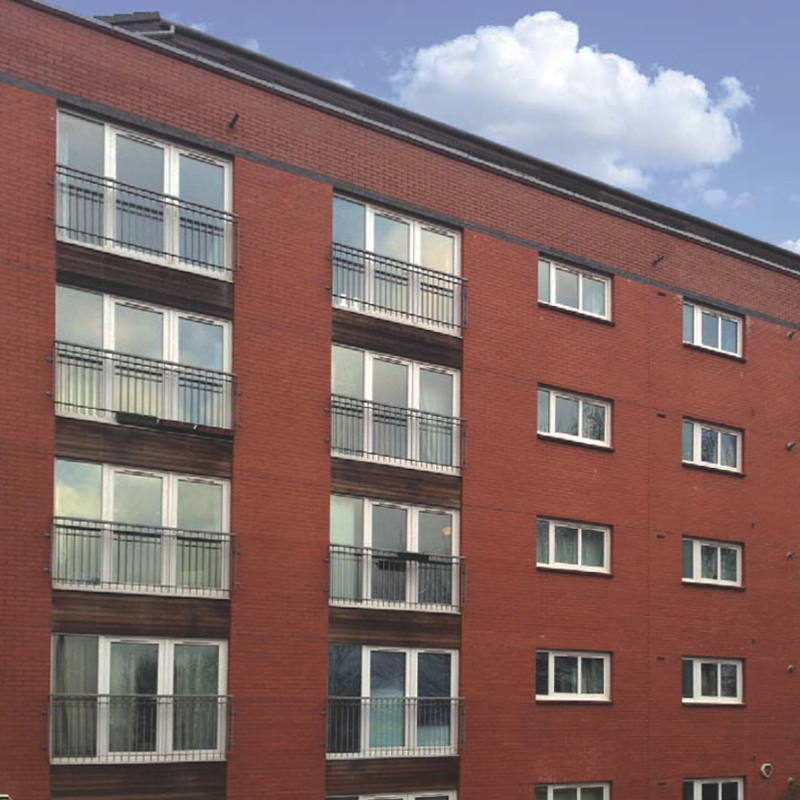 The project was carried out within a busy area of Glasgow in a four storey block of occupied flats. Scott Building Company worked closely with the client and various co-owners to carry out the work minimising disruption to the residents and public during the work. Works included the upgrade to the facade of the building where we were required to install new damp proofing, carry out stone intent repairs throughout the elevations, renew lime mortar pointing, carry out structural repairs to cills, mullions and lintels. During the renewal of the roof where Scott Building Company stripped of existing slate to carry out rot repairs a requirement for the replacement of a glazed atrium was required. Scott Building Company designed and installed temporary works to protect the building from water ingress and wind damage replacing the atrium. The roof was refurbished with new and refurbished slate, new lead gutters and flashings, new downpipes, lightening conductors with relocation of satellite and television aerials. Existing sash and case timber windows were refurbished.